Have you found getting into shape difficult? Unless you’ve been playing sports all your life, it can be hard to improve your fitness. It’s even worse if you’re looking to lose weight. Shedding the pounds is a long and difficult process, and most of us struggle to find the motivation to keep working towards our goal. Sometimes, it just feels like our bodies hate us. No matter what we do, we can’t win. If you’ve ever felt that way, you’re far from alone. Losing weight doesn’t have to be an impossible dream, though. There are things you can do to reach your desired size, one of which is eating right. We’re sure this is something you’ve heard before. Everyone that talks about getting into shape mentions that you have to find a balance between exercising and eating properly. They’re not wrong. You can’t hope to be fit if you don’t exercise and fill your body with food that’s good for you. Those fast food meals may be quick and tasty, but they’ll do more harm than anything. Of course, just because you’re being told to eat well, doesn’t mean you know what’s best to consume. There are some foods out there that are great for your body. They increase your metabolism, which makes it easier for you to lose weight. Doesn’t that sound perfect? The chances are you’re familiar with most of them, because they’re pretty common. If you want to know what they are, read on. Popcorn is the perfect snack for a trip to the movies. It’s so easy to eat that you probably find you devour it all before you’re even halfway through the film. 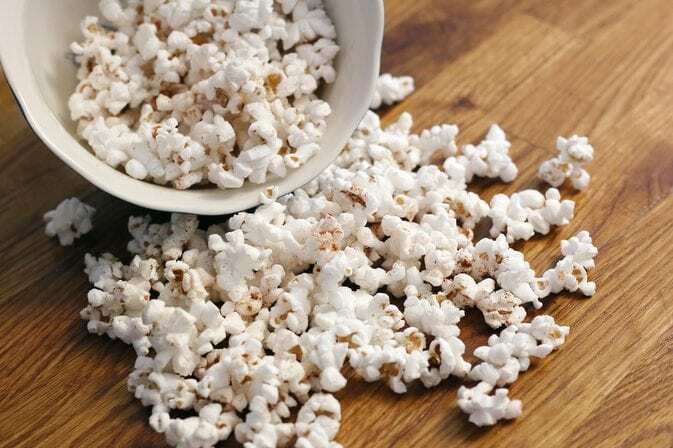 However, movie popcorn might not seem like the healthiest snack, and it’s not. To make it taste “better,” a load of salt and butter is added, which naturally aren’t great for you when consumed in excess. Healthy popcorn that’s been air-popped is available from the grocery store, though, and makes a great alternative to something like chips. This popcorn is low in calories, but high in fiber, which is a pretty great combination. They’re great to eat if you’re watching a movie at home, too. Bananas are one of those fruits you probably see every time you go to the grocery store, but you don’t necessarily buy. If you’ve been stopping yourself from picking up a bunch of these easy-to-eat snacks, then you could be missing out on a variety of health benefits. 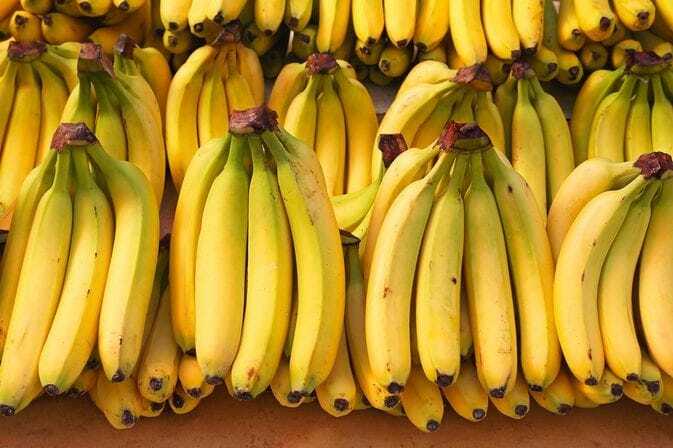 Bananas are high in potassium, which makes them great for lowering blood pressure and keeping your heart in good condition. They’re also full of fiber, so your digestive health will benefit from adding this fruit to your diet. If you’re looking for something quick to eat after doing a workout, bananas might well be the way to go. The pounds will soon start dropping off. You may well have heard of carrots being good for your eyesight. It’s something that many mothers tell their children to get them to eat healthily. They’re not lying, though. This vegetable is full of vitamin A, which is great for improving vision. That’s not all. 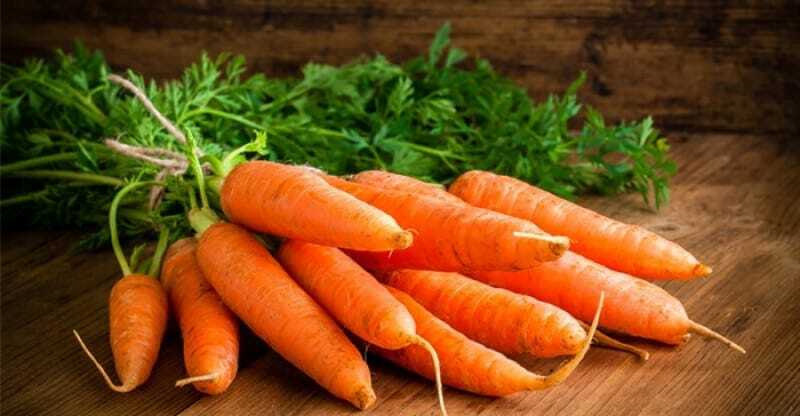 Carrots are also full of fiber, and they have a lot of water, too. A healthy diet requires plenty of water, so it’s good to get this from your food as well as drinking it regularly. 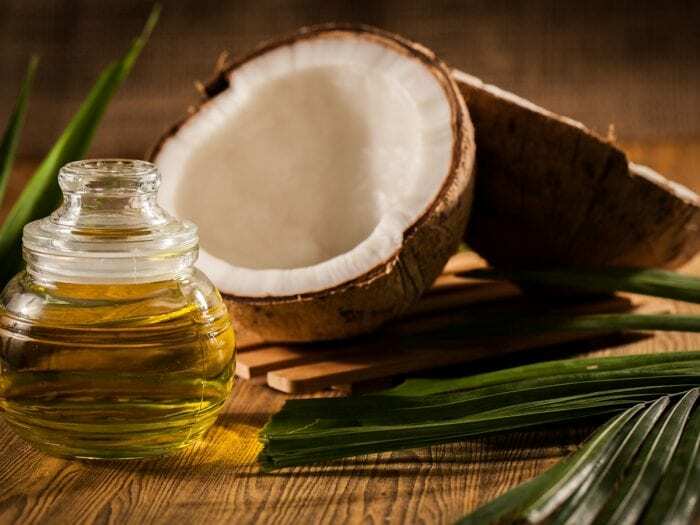 When you hear coconut oil, you probably think more about shampoo and body lotion than something that you might eat. While this nut is used in substances designed for body care, it’s still a food source at the end of the day. Coconut oil makes a great addition to your meals, as long as it’s used in moderation. The oil is great for increasing your metabolism and will help you cut off some of those extra pounds quite quickly. You can’t go wrong with blueberries. They’re so good for you that many people refer to them as a superfood. Blueberries are full of antioxidants, and have potentially been linked to improvement in heart health and lower blood pressure. 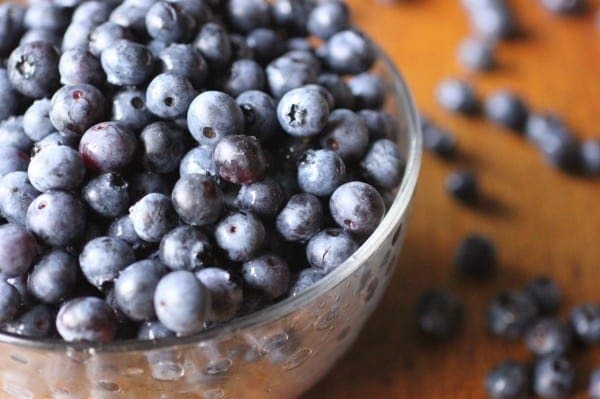 Snacking on this fruit will also keep you feeling fuller for longer. This is important for preventing overeating and helps you lose those extra pounds. Also, if you’re a calorie counter, blueberries are brilliant for your diet, because they don’t have that many in them. If you’re attracted to the health benefits of blueberries, then cabbage is something you should be adding into your main meals. This is another food that’s low in calories and full of antioxidants, with vitamins K, C and B6 all prevalent in the vegetable. 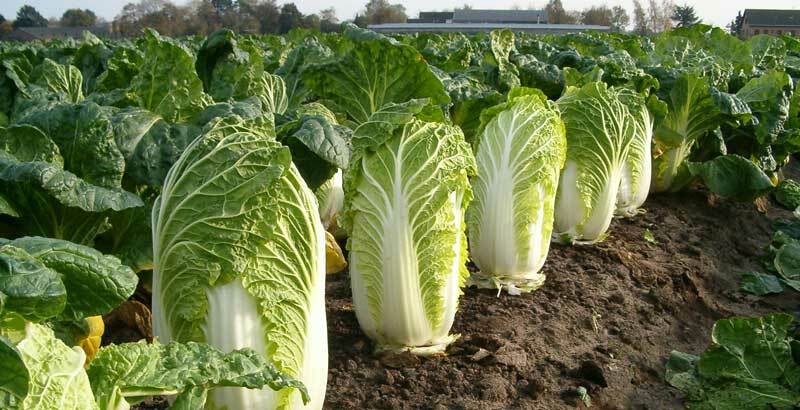 Cabbage is so good for you that it’s even been linked to cancer prevention, as well as lower risks of type 2 diabetes. Not to mention that it will help fill you up and keep you working towards your ideal weight. From one green vegetable to another. Broccoli is a necessary addition to any dinnertime meal. It’s also a great source for one of your five a day. 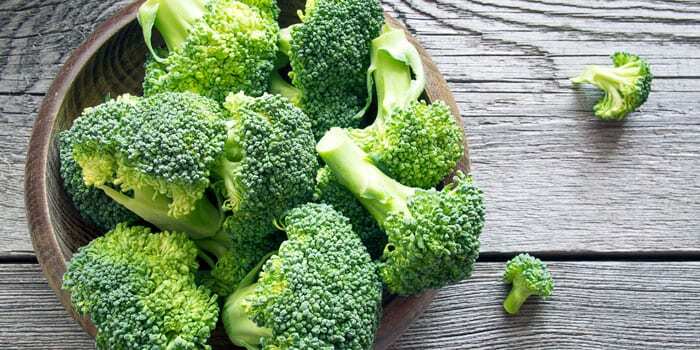 Vitamin content in this low-calorie vegetable is exceedingly high, and combines with the fact that broccoli is a great source of calcium. You can’t hope to lose weight through exercise if you have weak bones, so regular intake of broccoli will ensure your body stays strong. Not to mention that it does great things for boosting your metabolism. While water should be your main source of fluids for being healthy and losing weight, there are other things you can drink to have the same effect. Put down your soda and brew yourself a cup of green tea. This drink has amazing benefits, from fighting inflammation to boosting your energy levels. 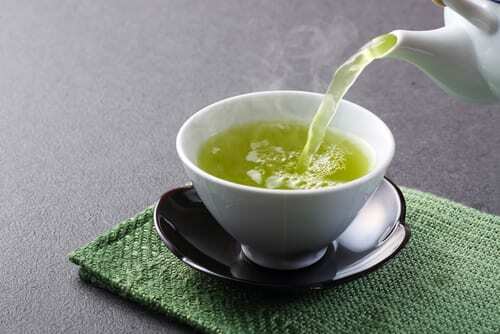 What’s more, green tea helps your body to burn fat easier by building up your metabolism. If you’re partial to a hot beverage throughout the day, this is the way to go. 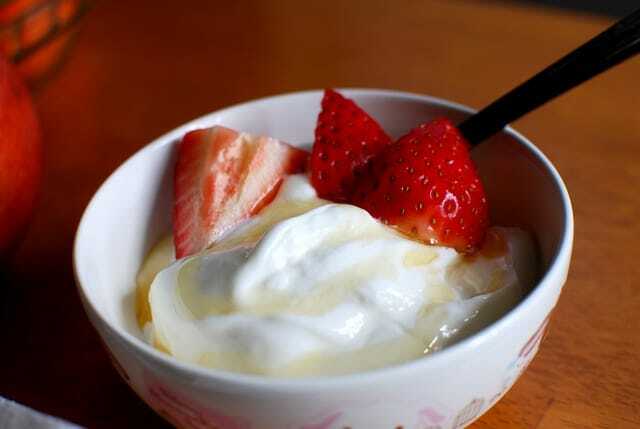 Lots of people are adding yogurt to things like breakfast cereals these days for an added health kick. However, unless it’s greek yogurt, they’re not reaping the full benefits. This food is packed with protein, which is ideal if you’re planning on doing a workout before or after you eat it. It’s high in calcium, potassium and important vitamins, as well as probiotics which keep your digestive and immune systems in check. Most importantly, it provides iodine for your thyroid, which is what helps improve your metabolism and lose weight. You might think that eating seeds is the sign of a diet gone too far. There’s never really much to them, and they’re not exactly a tasty alternative to anything else you could be eating. However, chia seeds are incredibly good for you. Their high fibrous content means that you feel fuller for longer, which aids weight loss. 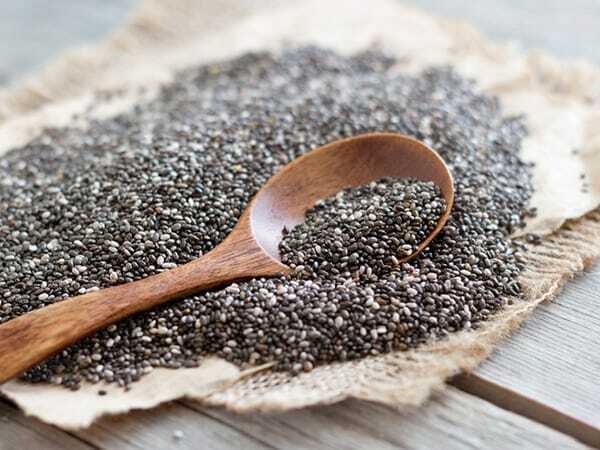 These seeds also contain great amounts of fiber, calcium and antioxidants, alongside omega-3 fatty acids. Although research is still ongoing, these acids are also believed to help with shifting the pounds. 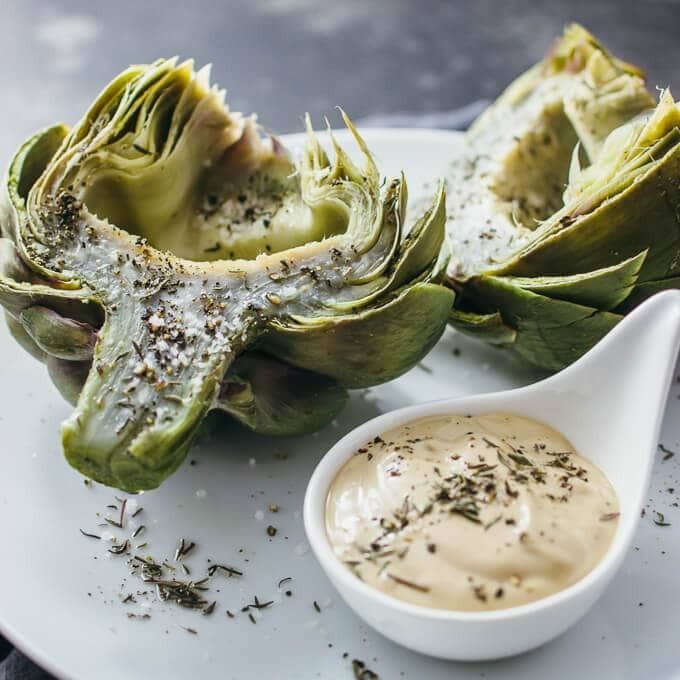 Unlike some of the other foods on this list, artichokes aren’t a vegetable that you see around all too often. If possible, you should try and find a way to fit them into your diet, though. They account for a quarter of your recommended daily intake of fiber, as well as vitamins C and K. That’s a lot for one piece of food to give your body, and makes it easy for you to reach your daily goal. It also helps you work towards slimming down. Again, black beans aren’t necessarily something that might seem appetizing as a regular source of food. They’re tough to eat, and there’s not much to them, but good things come in small packages. These beans are full of protein and fiber, which makes them a good supplement for any day where you plan on working out. 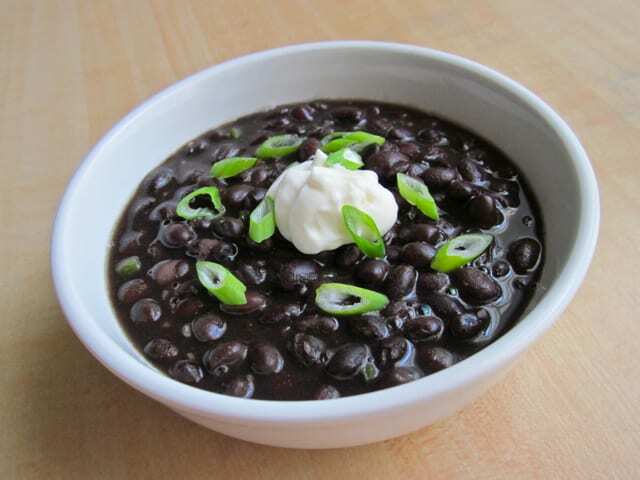 The calorie intake of black beans isn’t high either, so you won’t have to sacrifice something tasty if you include these in a meal. Oatmeal is most commonly eaten at breakfast, and it’s the best way to start your day. It fills you with fiber, protein and nutrients, all of which will keep you feeling energized throughout the day. The best reason to add oatmeal to your morning routine is that it’s full of starch. This helps boost your metabolism and aids you in your quest to lose weight. 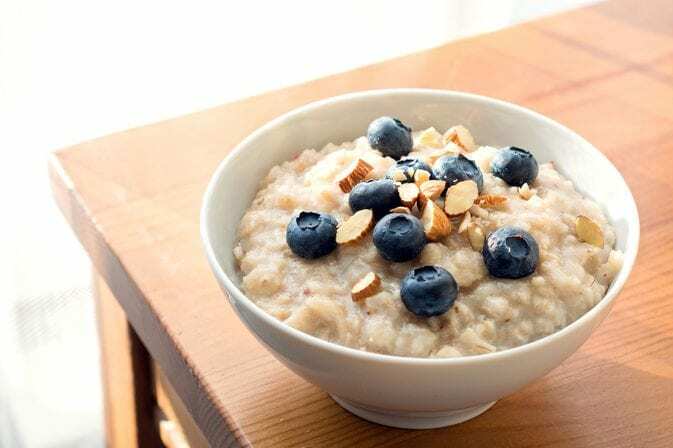 Although oatmeal is reasonably high in carbohydrate content, it’s still a great food for losing weight. Just eat it in moderation. 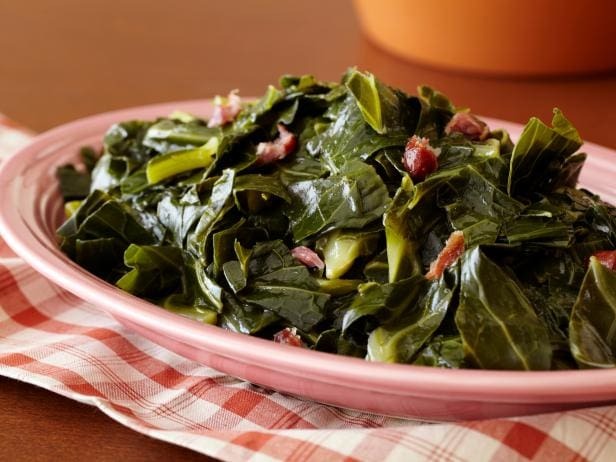 Like broccoli, cabbage and other cruciferous vegetables, collard greens are a great food to add to your diet. This is especially so if you’re looking for something with plenty of nutrients but that’s low in calories. It’s full of vitamin A and K, as well as calcium, water and fiber (just like everything else on this list). All of this works toward increasing your metabolism and thus losing weight, but it also improves sleep, digestion and liver function. That’s a lot of good coming out of one vegetable. As we’ve already seen, cruciferous vegetables are a necessity for a healthy diet. There’s so much to them that’s great for your body, and it’s no different with cauliflower. This vegetable is a great alternative to broccoli in a meal if you’re looking to change things up. It’s full of essential vitamins and minerals that keep you in working order and leave you feeling refreshed. One portion of cauliflower has over 75% of your required daily intake of vitamin C! That can only be good for helping you losing weight. Apples are an easy fruit to find on any trip to the grocery store. They’re one of the most popular foods around, and the first thing many people think of when going on a diet. There’s a reason for that. 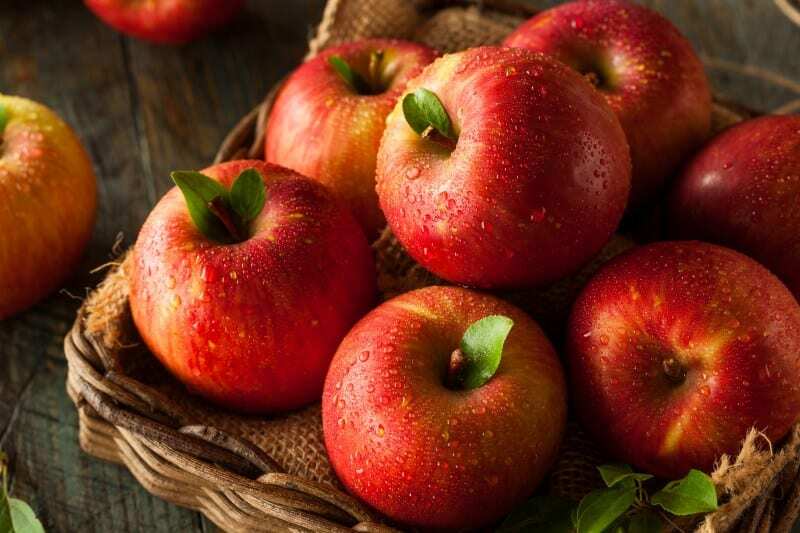 Apples provide a great range of benefits for your health, including promoting weight loss. The presence of antioxidants and fiber ensure that you feel satisfied after eating one, meaning you can wait a lot longer until you need food again. 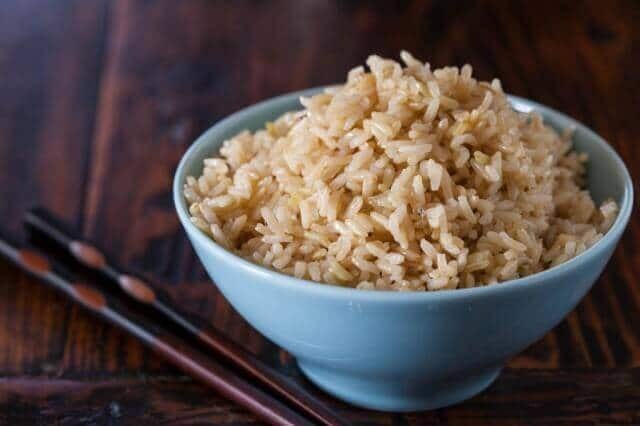 Rice is a fairly common addition to dinnertime meals. It’s great alongside many chicken dishes, but people on a diet might be wary of eating it. That’s because rice is naturally high in carbohydrates, which can make it harder for you to lose weight. However, if you don’t want to cut it out of your meals, try eating brown rice. It’s low in calories, but high in fiber, and has more nutritional content than white rice. A 2008 study even proved that it’s effective at helping you to lose fat. Unlike most other nuts, almonds are a lot easier and more satisfying to eat, making them a popular choice for people already. Although the high-fat content might put you off, almonds are rich in nutrients, some of which the body doesn’t break down. Only 90% of the calories in these nuts are actually absorbed during digestion, and what is taken in helps you to feel sated for longer. 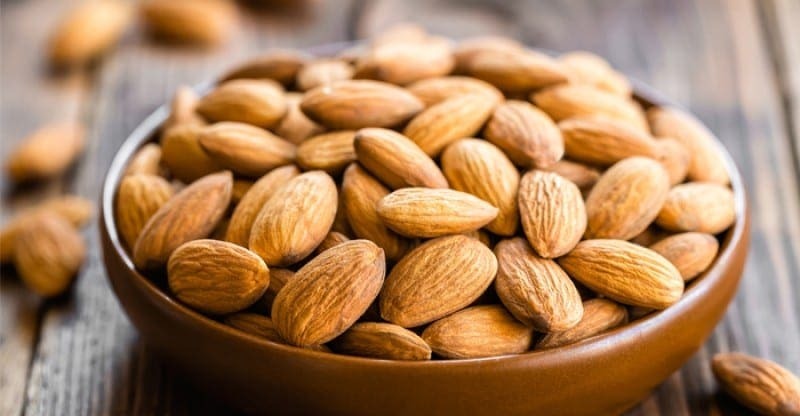 If you’re worried about the level of fat in almonds, just eat them on days when you’re going to exercise. 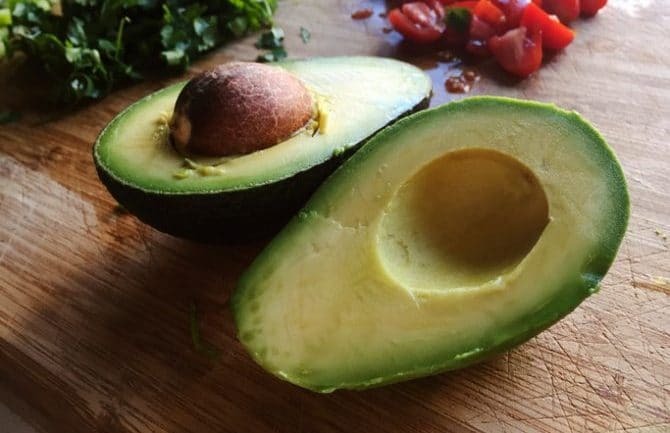 Avocados have seen a massive growth in popularity in recent years. The fruit has become a staple of salads and healthy dishes everywhere you look, but not without reason. The presence of potassium, magnesium and a variety of different vitamins make the food great for your heart, as well as your vision. While they may seem high in fat compared to some other foods on this list, the kind of fats in an avocado are good for your body in moderation! Avocados are definitely a necessity for anyone looking to improve their weight. 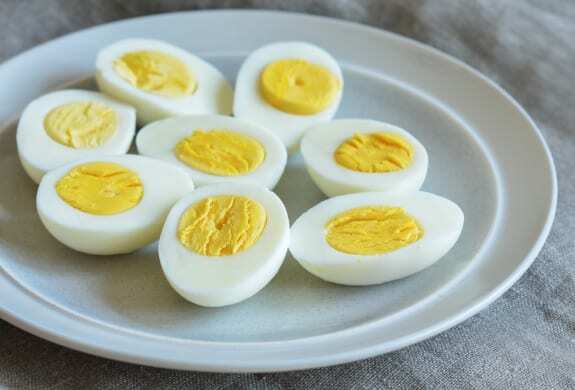 Eggs are one of the best foods you can eat to feel full and stop the temptation of snacking. Their lack of carbohydrates and rich collection of nutrients make them an ideal choice of food for breakfast, especially if you don’t want to be tempted to eat more throughout the day. The presence of protein and amino acids also mean that regular consumption of eggs will give your metabolism a strong boost. The more you eat, the sooner you could reach your goal of a flat stomach.